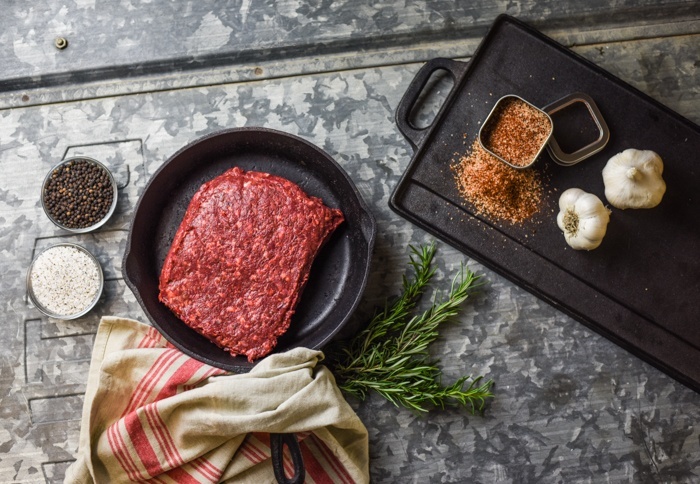 At White Oak Pastures, we are always looking for ways to provide our customers with an exceptional and unique shopping (and eating) experience. After all, how many farms do you know that raise, process and ship 10 species of livestock directly to the consumer….from the farm? Well, we do! And, we couldn’t be more proud of our vertically integrated model. Because of this integration, we are able to get a bit more creative than most. We have worked hard through this year focusing on new products to add for our customers. Of course, pasture-raised bacon has always been a high priority. We were able to get some bellies naturally cured and we are excited to offer an Old Fashioned Naturally Cured, Sugar Free Bacon. Containing no nitrates or nitrites (only those naturally occuring in celery and cherry powder), we are able to offer you thick sliced, heritage breed pork belly bacon. Because we did not use any sugar in our recipe, you’ll find this batch to be a bit salty, so be careful to balance it out on the plate. We will look to lessen this amount on future batches, but will still use enough to cure to the center of the belly. 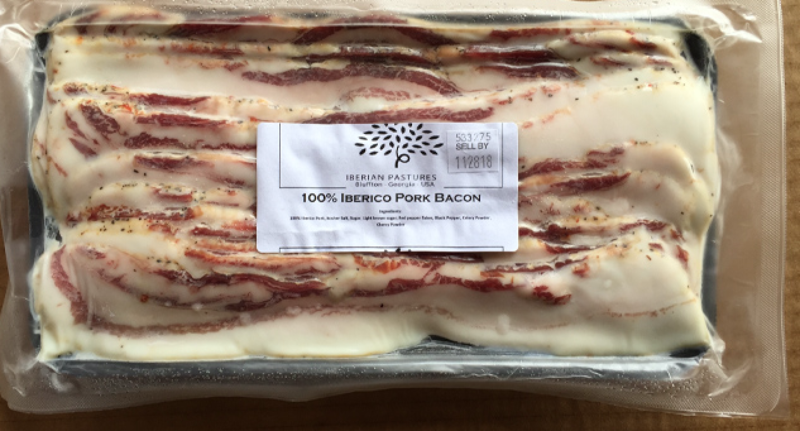 The next item on the list is our Naturally Cured Iberico Bacon! You’ll notice the difference in fat content right away, if compared to our heritage bacon. It’s a delicate and rich representative of the delicious flavor of these 100% Iberico hogs. When cooking, don’t dump the drippings! Use this as a substitute for butter, and you can thank us later…. If your mouths aren’t watering yet, be sure to check out our two new burger grinds: The Beecon and Piggy Back. The Beecon is a nice blend of 100% Iberico bacon and our grassfed ground beef. If you are the type to love a bacon burger, our Beecon Grind is certainly the one for you. The Piggy Back is a ground beef blend that carefully combines prized Iberico back fat and our ground beef for a moist, rich burger. 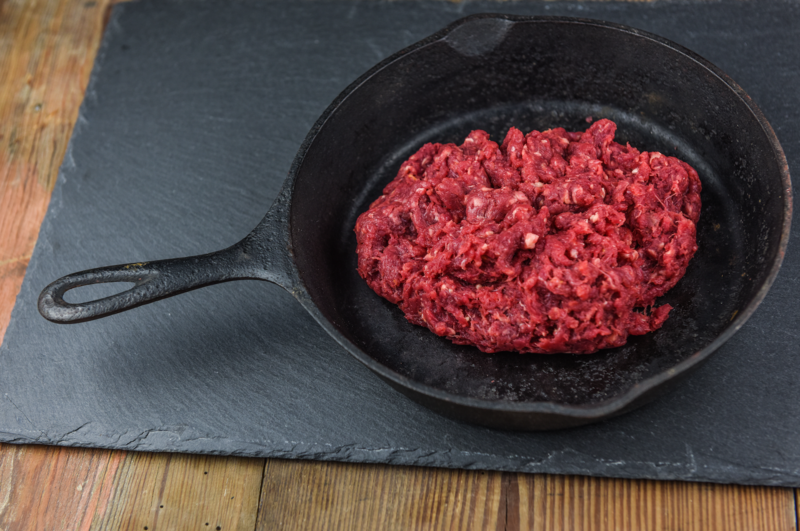 If you love our ground beef, but are thirsty for a little more fat, you’ll love this option. In the next few weeks, we look forward to launching our ready-to-eat sliced smoked turkey breasts. Not everyone has time to cook every meal every day, so when you are busy, you’ll be able to chow down on a sandwich, knowing the meat was raised and processed in a humane, regenerative way...which is often not the case with deli meats.